Oliver Rowland got his day off the best possible start with the fastest time in FP1, characterised by the ever-changing leaderboard as multiple drivers took turns in P1 amidst a fiercely-contested session. The opening practice of the day got going under cloudy sunshine, with the first yellow flag coming almost immediately as Lucas di Grassi missed his braking point into the turn 13 hairpin. The Brazilian did a good job to keep his Audi Sport ABT Schaeffler out of the barrier and was able to continue without issue. The early lap times came in with GEOX Dragon’s Jose Maria Lopez leading the way on a 1:33.562s ahead of Sebastien Buemi and Andre Lotterer. Lopez’s time was soon usurped by reigning champion Jean-Eric Vergne, looking to build upon his victory last time out in Sanya. It didn’t take long for Lopez to return to the top spot as he lowered the bar to a 1:32.878s, while the Panasonic Jaguar Racing of Mitch Evans jumped into the top three. Four drivers came under investigation in the early stages of the session for overspeeding under the simulated full course yellow as Maximilian Günther, Pascal Wehrlein, Alex Lynn and Robin Frijns appeared to infringe the regulation. 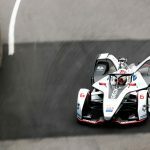 There was a hair-raising moment for Antonio Felix da Costa and Lotterer at the hairpin as the BMW i Andretti driver went for an overtake and nearly understeered into the side of the DS Techeetah, both fortunate to escape without contact. There was good progress on the other side of the BMW garage as Alexander Sims took over at the top with a 1:32.548s, before da Costa joined his English teammate in P2 with a time one tenth slower. 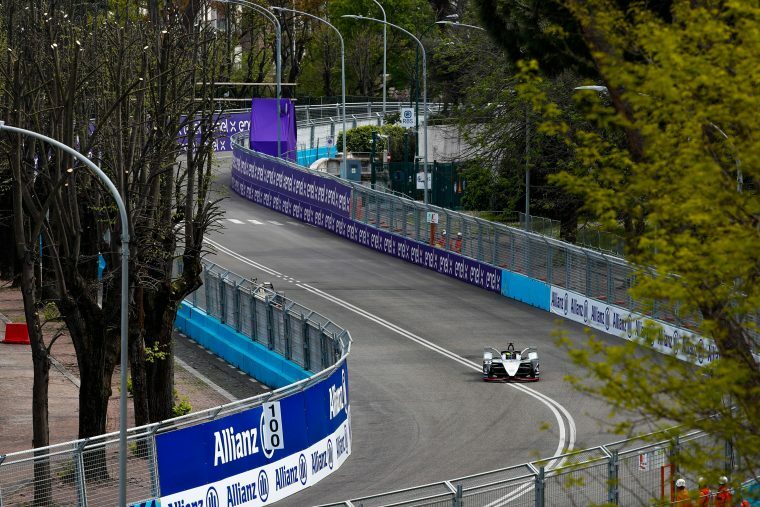 The German team’s time at the top was short-lived, however, as the Audi Sport ABT Schaeffler of Daniel Abt set a time of 1:32.327s and moved to the top of the times. Another driver to come under investigation was Felipe Massa, who was deemed to have overpowered during regeneration. Fresh off the back of his maiden podium in Sanya, the Nissan e.dams’ of Rowland showed a turn of speed to briefly take P1, with the Envision Virgin Racing of Sam Bird following his countryman and setting a 1:31.880s to go three tenths faster. With the drivers continuing to learn the track and find the limits, the times started to tumble further with Mahindra Racing’s Pascal Wehrlein going almost four tenths faster than Bird, before di Grassi went within a tenth of the German’s time to go second fastest. A frantic change of positions then occurred with quarter of an hour to go, with Bird returning to the top spot ahead of Evans, while Günther showed he hasn’t lost any speed from being away by going third fastest in his GEOX Dragon. 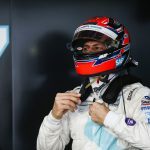 Hong Kong race winner Edoardo Mortara elevated his Venturi up into P4 ahead of Wehrlein and Sims, while da Costa brought himself into the mix by going third. Rowland and Lopez also returned to the top ten, with the former going second while the latter went sixth. The leader of the session was constantly changing, with Abt retaking P1 from Bird as the drivers looked towards breaking the 1:30s barrier. Buemi then got closer than Abt with a 1:30.644s. Vergne then lowered the benchmark further with a 1:30.458s. The reigning champion didn’t last long in P1 as da Costa laid down a 1:30.258s to go fastest, while Evans scraped the wall on the exit of turn 15 en route to P3. With five minutes to go Felipe Massa went down the escape road at turn six, executing a perfect 180 spin to get back on track. Vergne then became the first driver to break the 1:30s mark with a 1:29.793s, almost half a second faster than da Costa, while Mortara took P3 ahead of Wehrlein. As the chequered flag fell Rowland crossed the line to go fastest on a 1:29.738s, while di Grassi went into P3 behind Vergne and ahead of Bird. Despite an apparent problem with acceleration, Buemi ended the session fifth fastest ahead of Abt, da Costa, Frijns, Mortara and Wehrlein.